P.P. 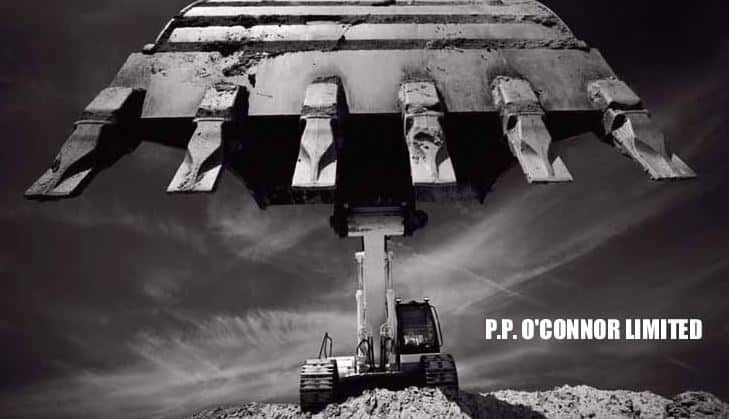 O’Connor Ltd., established in 1960 is a leading force in the UK’s Construction industry, specialising in Civil Engineering and Utilities, Demolition and Dismantling, Bulk Earthworks and Remediation, Aggregate Supply and Sustainable Disposal, based in the North West of England. Creativeworld was commissioned by P.P. O’Conner to create and develop a complete suite of branded marketing materials for their company. 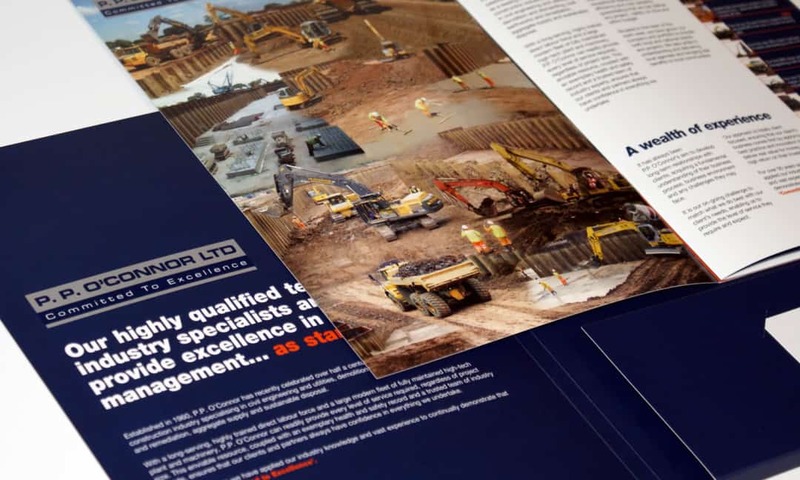 They wanted professionally designed branded literature to reflect the expansive services that they provide to their clients as a company as well as showcasing their team of highly qualified industry specialists. It was important in the design process to emphasise the long-standing business ethic of P.P. O’Connor… the end result provided them with a logo design style that truly achieved this. Their new Corporate Logo is instantly recognisable and can be seen not only on every P.P. O’Connor vehicle, but across every aspect of their corporate communication. The complete package of services that the Creativeworld team provided included their Corporate Brochure, a broad range of corporate business stationery, large format graphic boards and signage, and the final piece of this elaborate jigsaw will be their brand new company website, due for completion in 2014.